The Bookshops of Yesterdays was an enjoyable book. I listened to the audio version of this one, and although the narrator did not change her voice for different characters, it was well narrated and I found I enjoyed hearing all the literary clues and information, more than I probably would have if reading this one. It was both fun and poignant, full of family drama, heartbreak, and love. Some of the things I loved were that it takes place in a bookstore, there is a good mystery to figure out with a scavenger hunt of clues, and the of course the fact that those clues were all literary. As Miranda unravels the clues left in the books of literature, she finds out her life is not what she thought – there were secrets kept. Miranda Brooks adored her Uncle Billy. They spent a lot of time together, always having fun, especially in his bookstore, Prospero Books. The name coming from Midsummer Night’s Dream as well as her name. She also had a wonderful relationship with her parents. Suddenly, on her 12th birthday, her mother and Uncle Billy had a huge fight and Miranda never saw him again. Years later, when this story takes place, Uncle Billy has died and Miranda finds out that he has left Prospero Books to her along with a letter and clues to follow. There were many interesting characters who Miranda met working in the bookstore as well as when she followed the clues. As Miranda tries to figure out what she wants to do with the rest of her life, she uncovers secrets kept by Billy and her parents that will change many things. She began to evaluate her own life choices and found them wanting. As she uncovers more secrets about Billy’s life, she discovers that her life is inexplicably tied to his and that her parents had secrets of their own. This was a great story about family dynamics, sorrow, forgiveness, going for your dreams and above all love. Using books and a bookstore to share that message is icing on the cake. About the Book: A woman inherits a beloved bookstore and sets forth on a journey of self-discovery in this poignant debut about family, forgiveness and a love of reading. Bighearted and trenchantly observant, The Bookshop of Yesterdaysis a lyrical story of family, love and the healing power of community. It’s a love letter to reading and bookstores, and a testament to how our histories shape who we become. 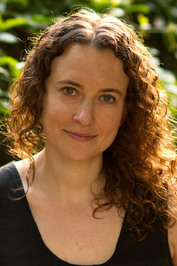 About the Author: Amy Meyerson is a graduate of Wesleyan University and the University of Southern California. She lives in Los Angeles and teaches in the Writing Program at the University of Southern California. 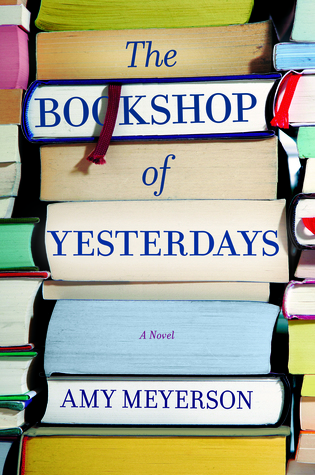 Her first novel, “The Bookshop of Yesterdays,” is an international bestseller and will be translated into eight languages. She currently lives in Los Angeles. Thanks Shalini. I am not a connoisseur of audiobooks, as so many others are, but I know what I like. I hope you find that you like them as well. I met this author – she was delightful! I’m glad you liked the book…love the idea of a treasure hunt! Oh that would have been wonderful. This was a great debut novel. This one sounds quite alluring and it being a homage to bookstores and reading makes it even more so. It was different from what I expected, but I enjoyed it a lot. The Bookstore was what drew me to it in the first place. I love that the setting is a book shop! It adds a certain pull for us readers. Great review, Carla. I love the cover, that it revolved around a bookstore and so many things bookish, and that there is a mystery, but it doesn’t appear to be a murder mystery (nice change). I’m glad you got to enjoy this as an audio book. They don’t fit with my lifestyle, but I think I would like listening to a book combined with some sort of crafting. Thanks Linda. It was very different, not what I expected at all, but very enjoyable. A year ago, I would never have thought that I would become an audiobook fanatic. With changes in my lifestyle, it fit now, not before. Audiobooks are definitely not for everyone, but maybe someday, who knows. I definitely want to read this one!!! Ordering today. I hope you enjoy it Rae. Fantastic review. This sounds delightful! I’m off to see if I can find it! Thanks Mac. I got the audio version from Overdrive through my library. I’m definitely looking into this one. I think you would enjoy it Rae, especially the literary clues. I have checked it out but not begun reading it yet.